Ever since we first heard Joseph Giant at the Sunset about a year ago, we’ve been singing the band’s praises to nearly anyone and everyone we know who has even a passing interest in quality music. Led by Joe Severson (formerly of The Final Spins), Joseph Giant has our vote as one of our city’s very best hopes for re-establishing Seattle as a place that can produce substantive music in the Alt-Country spectrum. By infusing an infectious country-tinge into uptempo rock, Severson and his band puts on a great live show that you won’t want to miss. 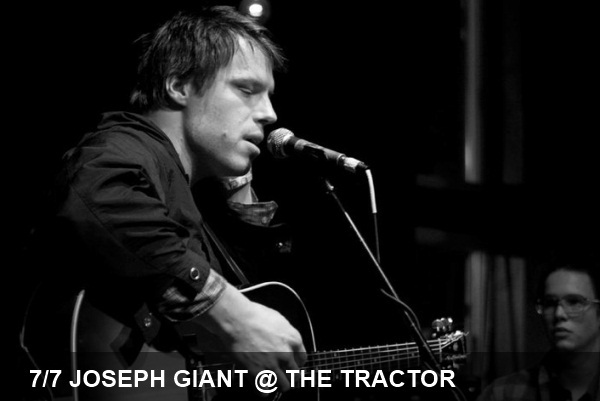 Joseph Giant will be opening at the Tractor tonight in an excellent PacNW showcase that also features Portland’s Quiet Life and Dolorean. To get a taste of JG’s sound, check out the below video from one of our favorite new video sites All Cameras On and stream the band’s album below.